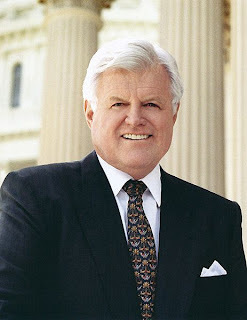 On Monday, February 22nd, the TIPA Project presents In Memoriam-A Birthday Tribute to Senator Edward M. Kennedy. On what would be his 78th birthday, this tribute honors the Senator's memory, his love of literature, and the universal power of the arts and humanities as a force of peace among individuals and nationals. A selection of Senator Kennedy's favorite poems by Benet, Frost, Whitman, Yeats, Tennyson, Cavafy and other will be read by Tony Award winners Fritz Weaver and Tammy Grimes, and Ronald Rand, Besy von Furstenberg, Noelle Tannen and Conrad Rothbaum. Additionally, pianist David Lewis will share reminiscences about playing some of Senator Kennedy's favorite music for him one year ago, on his 77th birthday. 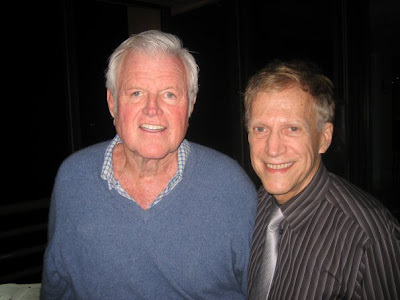 David began his career in New York as the conductor of the original cast of Godspell, toured throughout the world with Barbara Cook, Lorna Luft, Andrea McArdle, Hildegard, the Theatre Guild, 20 years with the "Sesame Street" tours, and collaborated with Kitty Carlisle Hart for over a decade. The TIPA Project, or Toward International Peace Through the Arts, was founded by Stanley Tannen. Mr. Tannen began organizing readings in 1972. In 2006, the president of the United Nations Society of Writers nominated him for a Nobel Peace Prize. 2010 marks Mr. Tannen's 39th year as a peace advocate and activist dedicated to promoting the Humanities as an instrument for peace. The reading begins at 12:30 pm in the sanctuary at Saint Peter's Church, 619 Lexington Avenue at 54th Street. It is free and open to the public.